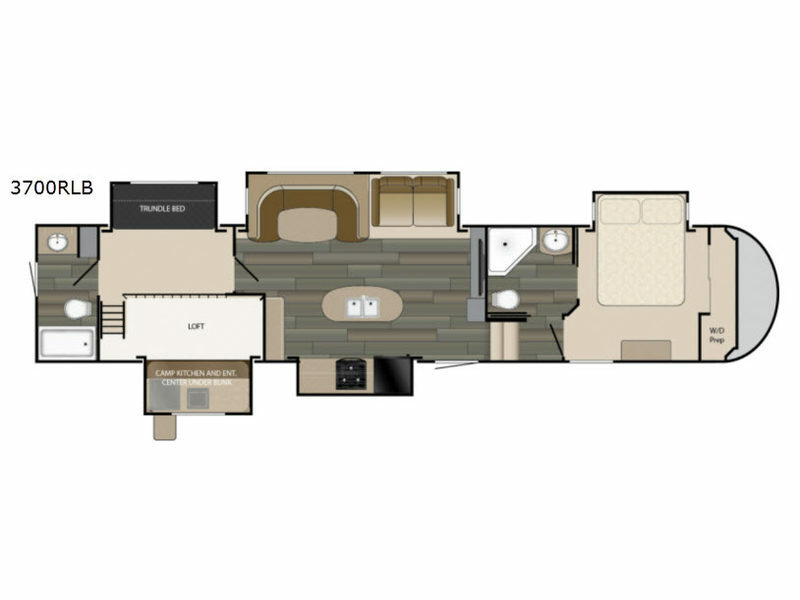 When searching for a new motorhome, fifth wheel, travel trailer or toy hauler, you want an RV floorplan that will accommodate all your travel needs. Whether you are a large family looking for a large bunkhouse for the kids or a couple looking for a compact camper for weekend getaways, there is an RV floorplan that will make your RV vacation a complete success. 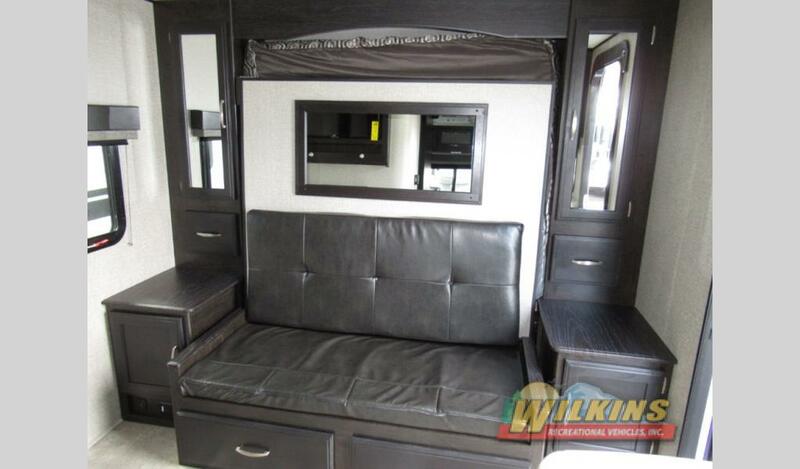 It’s easy to find just the right RV floorplan on the easy to use Wilkin’s RV website. From the New RVs or Used RVs search page there is a handy filter option on the left for RV floorplan styles. Here, we’ll highlight a few super cool RV floorplan features that deserve a special look. Increase your RV living space with an Outdoor Kitchen Floorplan. There are a number of motorhomes, fifth wheels and travel trailers that include an outside cooking space with a cook top and refrigerator. An outdoor kitchen is a must for family picnics and tailgaters. Choose from a wide variety of RV models that include a Bath and a Half and even Two Full Bathroom Layouts. If you are traveling with a large group or like to entertain guests, an extra bathroom is especially convenient. There are a number of different RV types that include two full bathrooms including class A motorhomes, fifth wheels and toy haulers. No more waiting in line to take a shower in the morning! Small, lightweight travel trailers are a great way to start your RV camping adventure. To make the most of limited interior space, a Murphy Bed Floorplan is an excellent choice. 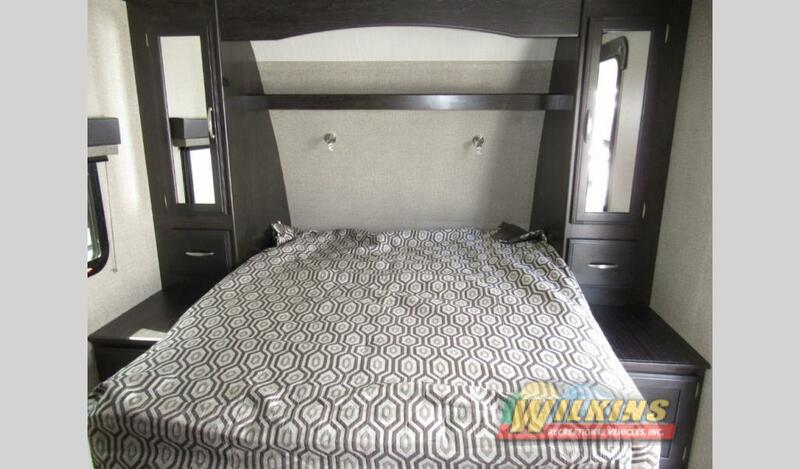 The space saving murphy bed conveniently folds up and away during the day. This also hide the clutter of a messy bed as well as opens up a hidden sofa for extra seating. How cool is that! 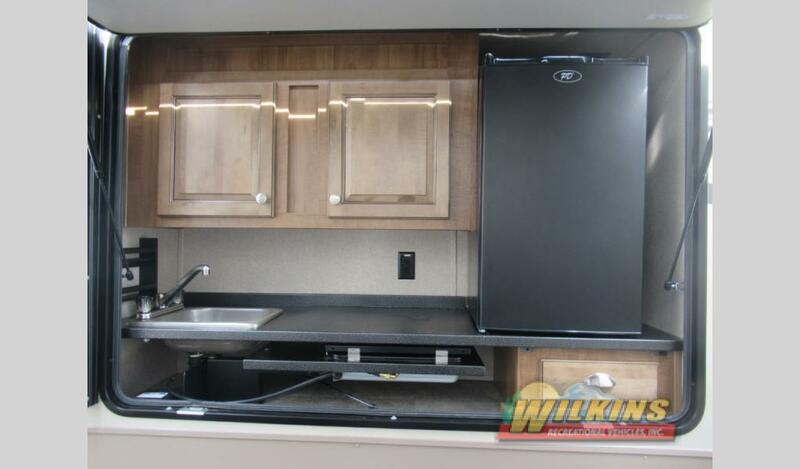 Make you RV search easy with the Wilkins RV floorplan online search tool. When you find the camper you like, Contact Us for a walk through tour. Our RV specialists will help you find the perfect RV that’s right for you!